Currently, I am a PhD student in Computer Science at University of Southern California. 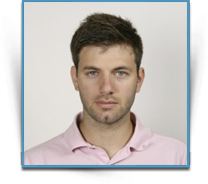 I am currently working at IMSC projects under the supervision of Prof. Cyrus Shahabi and Dr. Seon Ho Kim. I received a M.Sc. (2014) in Computer Science from the University of Southern California (USC) and a B.Sc. (2012) in Computer Science from the University of Cyprus. For more information, please take a look at my resume. iWatch (short for “Intelligent Watch”), funded by National Institute of Justice (NIJ). - Developing a dynamic front-end (UI) of iWatch to provide intelligent surveillance system for a variety of applications (e.g. security surveillance, public health surveillance, traffic surveillance, etc). - Integrating fine-grain and heterogeneous spatiotemporal surveillance data from various sources. 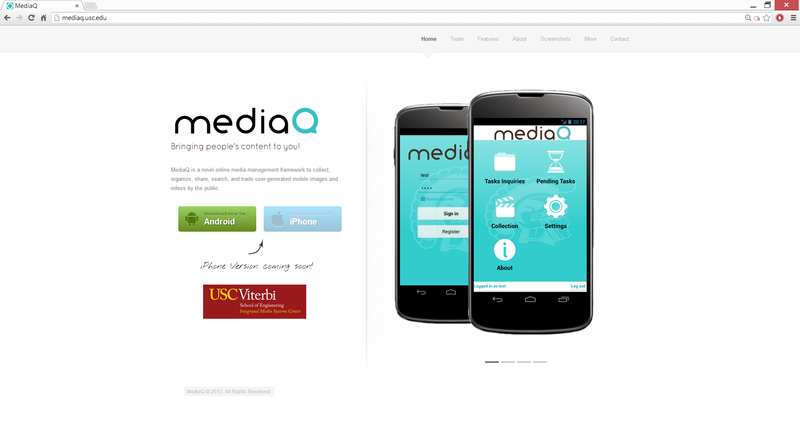 MediaQ is a novel online media management framework to collect, organize, share, search, and trade user-generated mobile images and videos by the public. I participated in numerous technical meetings regarding the FireWatch project. My responsibilities include Technical Management, Design and Development of the Firewatch project. I worked on the project titled FireWatch: G.I.S.-assisted Wireless Sensor Networks for Forest Fires, under the supervision of Professor George Samaras and Post-doctoral Researcher Panayiotis G. Andreou. It aims to enable fire officers to continuously monitor environmental phenomena and detect risks through a unifed framework. 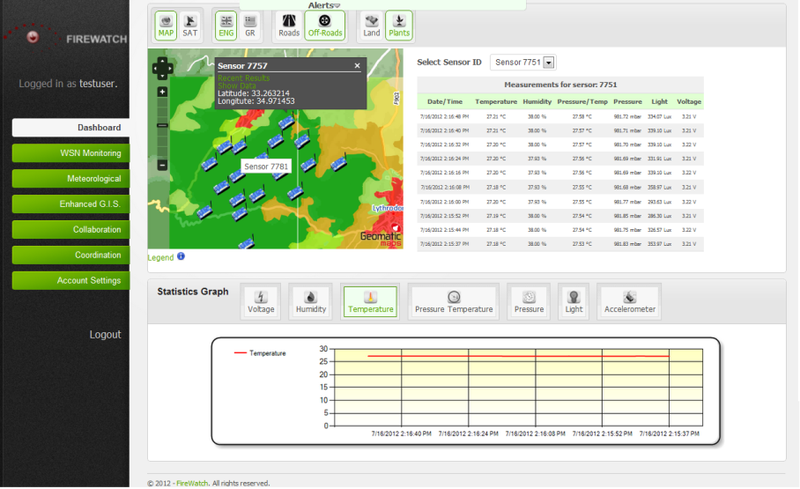 It involves a combination of the areas of data management, wireless sensor networks, geographical information systems and computer supported collaborative workflows. I worked with Dr. Zeinalipour Demetris in cooperation with Mr. Christos Laoudias, PhD candidate student, at the Data Management Systems Laboratory (DMSL) on a platform for the evaluation of fingerprint positioning algorithms on Android Smartphones. I worked as a senior developer for the Airplace project. Provide IT support for employers seeking to incorporate computers in their line of work. Compulsory military service for two years as a Second Lieutenant. - Award of Excellence in the Department of Computer Science, University of Cyprus. - Fulbright Scholarship for graduate studies in the US. - Best Demo Award at MDM'12 conference for "The Airplace Indoor Positioning Platform for Android Smartphones". 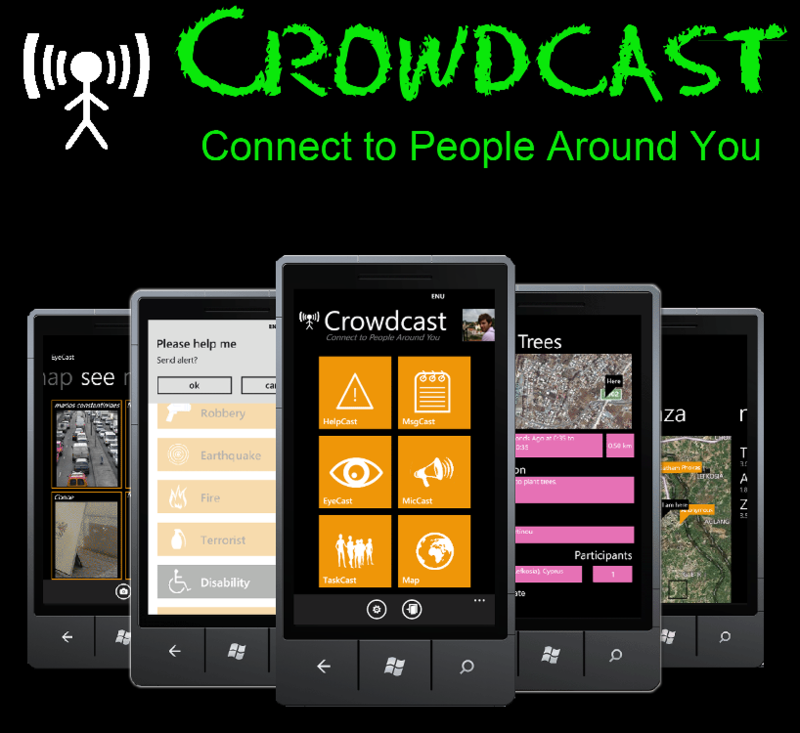 - Crowdcast project placed 3rd nationally in the Microsoft Imagine Cup Competition 2012. - ACM SIGMOD 2011 Programming Contest, placed 6th. - Selected by the University of Cyprus .NET Club to deliver a number of presentations on programming with new technologies. - SocialFace implementation in local competition of Databases Course was awarded the 2nd position among 30 teams. - IEEEXtreme Programming Competition 4.0, ranked 77th out of 971 teams. - Second prize in the Cyprus project on EMS and PLC technology in the annual competition of Technology in Secondary Education. - Participation in the Robotics contest Technopleusi, organized by Department of Electrical and Computer Engineering, University of Cyprus. - Honorary diploma by the Administrative Council of the Federation of Parents Associations of Public Secondary Schools in Nicosia for the honorary position in the European competition, named Euroscola organized by the European Parliament, where our high school represented the opinions of youth at the European Parliament in Strasbourg after ranking 1st nationwide. - Bronze Medals in Mathematics Olympiads by Cyprus Mathematical Society. Design and develop a ubiquitous fire detection and prediction system based on state of the art technologies in Wireless Sensor Networks (WSNs), Geographical Information Systems (GIS), Terrain Analysis & Digital Terrain Modelling and Collaboration Systems. 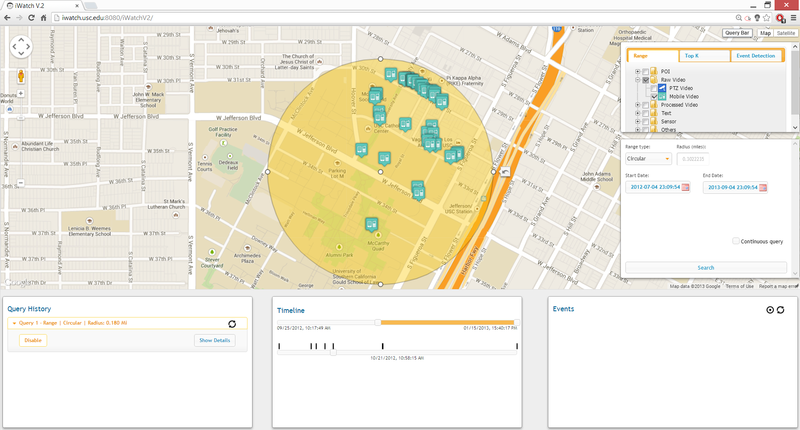 Crowdcast is an innovative suite for crowdsourcing with proximity-based interactions. Crowdcast is built on top of the Proximity framework, which efficiently connects you to your closest neighbors at all times, regardless of where you are and how far your closest neighbors are. In particular, Proximity addresses the Continuous All k-Nearest Neighbor (CAkNN) problem efficiently. Help with the design and development of various pages of social media driven products ready for launch by Wadja Inc. in the US. I was working closely with the development team to provide support to their efforts to meet their launch deadline for 2 sites they were redesigning. Both services have a modern and simple focus, engineered for web and mobile interfaces. A Platform for the Evaluation of Fingerprint Positioning Algorithms on Android Smartphones. The Airplace system is an end-to-end mobile positioning platform developed on Android smartphones that facilitates the construction of the radiomap and features real-time positioning, while offering the additional option to assess the performance of different fingerprint-based algorithms with respect to the positioning time, accuracy and power consumption. Implementation of a high-throughput main-memory index that uses flash-based Solid-State-Disk for durability. 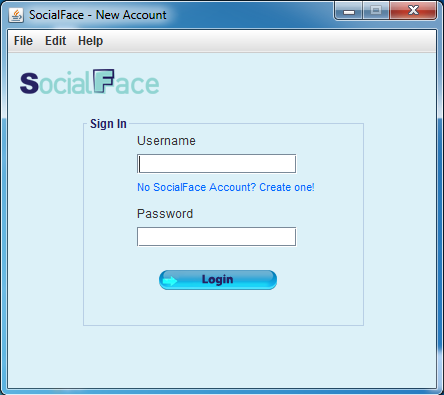 Database system with a JAVA front-end for maintaining and querying social data about the users, coined SocialFace. This game was developed as part of the graphics course. Navigating in an old traditional Cypriot mansion (Archontiko Ierodiakonou) using Microsoft's Kinect Sensor or Keyboard as the controller, the Greek character has to search and find items. We used motion capture technology in order to record the player's movements, like walking, collecting, running etc. All models (house, character, items) were edited in 3D Studio Max and other Autodesk products, like Motionbuilder and Maya. The game was developed using the XNA framework. 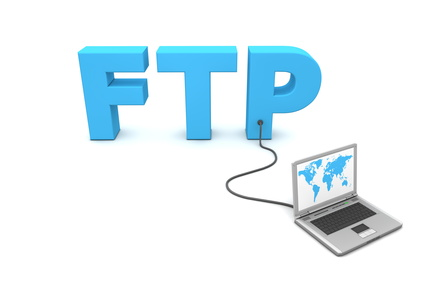 Implementation of the FTP server based on the RFC 959. 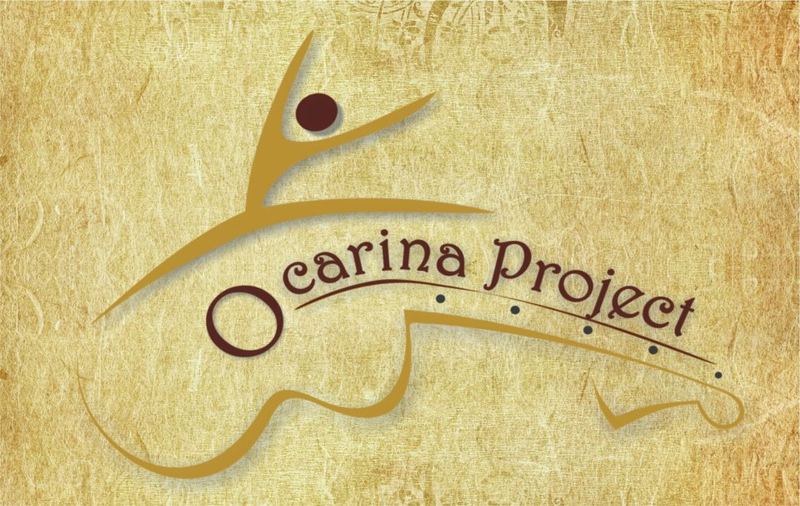 The Ocarina project, which falls under the European Commission’s "CULTURE" program, includes a series of cultural events across Europe. The Ocarina Event in Cyprus included a presentation of traditional musical instruments and a performance with music from Portugal, Cyprus, the United Kingdom, Sweden and Romania, where I had organization role. 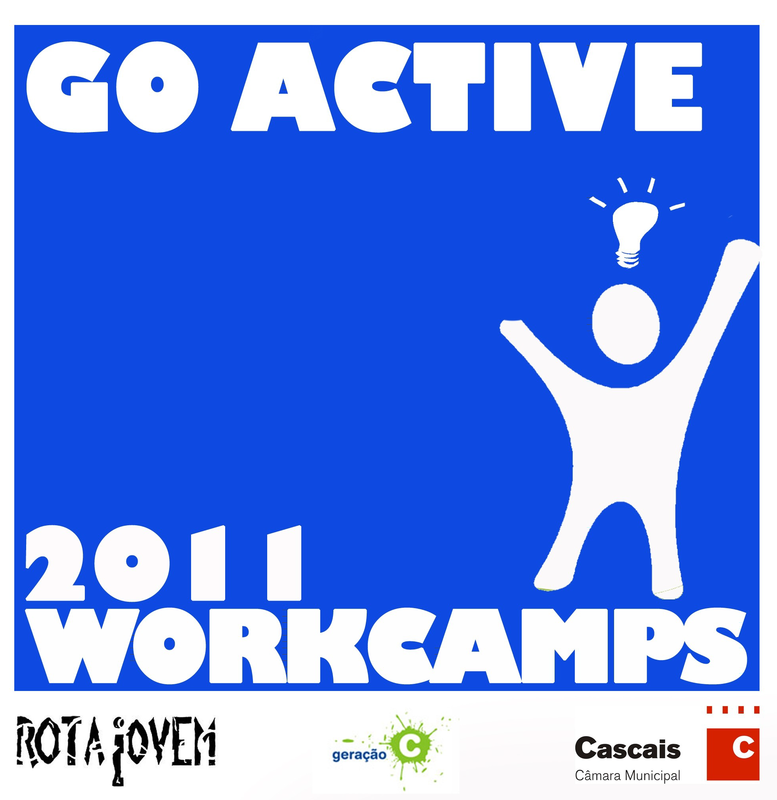 Participation to "Go Active" work camp, organized by Rota Jovem. It aimed to develop the creativity, musical and acting skills of youth in order to prepare a performance to public within 14 days, in Cascais, Portugal. "MR-Cubes: On-the-fly Computation of Location Popularity from Check-in Data Streams", Giorgos Constantinou Chrysovalantis Anastasiou, Dimitris Stripelis and Cyrus Shahabi,In the Proceedings of IEEE International Conference on Mobile Data Management (MDM 2019), Hong Kong, Jun. 10, 2019 (MDM '19). "TVDP: Translational Visual Data Platform for Smart Cities", Seon Ho Kim, Abdullah Alfarrarjeh, George Constantinou and Cyrus Shahabi, In the Proceedings of International Workshop on Data-Driven Smart Cities (DASC 2019) in conjunction with ICDE, Macau SAR, China, Apr. 8, 2019 (DASC '19). "Janus - Multi Source Event Detection and Collection System for the Effective Surveillance of Criminal Activity", Cyrus Shahabi, Seon Ho Kim, Luciano Nocera, George Constantinou, Ying Lu, Yinghao Cai, Gérard G. Medioni, Ramakant Nevatia, Farnoush Banaei Kashani, Journal of Information Processing Systems 2014 (JIPS '14). "Proximity Interactions with Crowdcast", Marios Constantinides, George Constantinou, Andreas Panteli, Theophilos Phokas, Georgios Chatzimilioudis, Demetrios Zeinalipour-Yazti, The 11th Hellenic Data Management Symposium (HDMS '12), Chania Greece, June 28-29, 2012. "The Airplace Indoor Positioning Platform for Android Smartphones", C. Laoudias, G. Constantinou, M. Constantinides, S. Nicolaou, D. Zeinalipour-Yazti, C. G. Panayiotou, Demo at the 13th IEEE International Conference on Mobile Data Management (MDM '12), IEEE Computer Society, Bangalore India, July 23-26, 2012. Best Demo Award! "FireWatch: G.I.S.-assisted Wireless Sensor Networks for Forest Fires", Panayiotis G. Andreou, George Constantinou, Demetrios Zeinalipour-Yazti, George Samaras, Poster at the 24th International Conference on Scientiﬁc and Statistical Database Management (SSDBM '12), LNCS Proceedings, Chania Greece, 25-27 June, 2012. "Demo: The Airplace Indoor Positioning Platform", C. Laoudias, G. Constantinou, M. Constantinides, S. Nicolaou, D. Zeinalipour-Yazti and C. G. Panayiotou, Demo at the 10th International Conference on Mobile Systems Applications and Services (Mobisys '12), Low Wood Bay Lake District UK, 2012. "A Platform for the Evaluation of Fingerprint Positioning Algorithms on Android Smartphones", C. Laoudias, G. Constantinou, M. Constantinides, S. Nicolaou, D. Zeinalipour-Yazti, C. G. Panayiotou, Demo at the International Conference on Indoor Positioning and Indoor Navigation (IPIN '11), Guimares, Portugal, 2011.